Care giving is a fairly broad term and responsibilities depend on the physical and mental health of an individual but may include anything from helping with everyday activities to medication reminders to hiring and coordinating with assisted living staff. Regardless of the level of involvement, caring for the elderly requires patience. Every day tasks that we take for granted, such as getting up and getting ready for the day can be challenging as we age. The elderly often need help with daily living activities like bathing or getting dressed. Though these tasks may be time consuming, the physical and emotional benefits of grooming, bathing and putting on clean clothes should not be underestimated to making someone feel more good. Be simple, direct and positive when speaking. Clear and upbeat communication is generally a good idea, especially if the person you are caring for has health problems that could affect memory and cognitive skills. Limit choices to reduce confusion. For example, ask, “Would you like to wear your jeans or your khakis?” instead of asking, “What do you want to wear?” You might even want to show the options to the person you are caring for to help them make the decision. Easy wear, easy wash clothing. Comfortable, loose-fitting clothing with elastic waistbands will not only make it easier to get dressed, it will also make it easier to remove clothing to use the bathroom. Assist in dressing as needed. Let the individual do as much as possible without assistance but be ready to lend a hand. To assistance, lay out the clothes in the order they will be put on. For example, place underwear and socks before pants and shirt. Make the shower safe. Use a sturdy shower chair, grab bars, non-slip bath mats and a hand-held shower-head to reduce the chance of falls. Remove or secure rugs. Try using double-sided adhesive tape to firmly attach any large area rugs. Hide electrical cords. Tuck cords behind furniture, under large rugs or tack to the baseboards so they are out of the way. Create clean lines and open spaces. Remove any extra furniture that would be difficult to maneuver around with a cane, walker or wheelchair. Install handrails and grab bars. Most commonly used along stairways, on the side of the bed, next to the toilet and in the bath or shower. Install good lighting inside and outside home. If the elderly individual has difficulty seeing, install the highest recommended bulb per light fixture. For their safety at night, install nightlights in bedrooms, bathrooms, kitchen and hallways. Remember, it is also important to make sure your loved one not only has health food and beverages available but that they are eating regularly. Proper nutrition and hydration can have a significant impact on an individual’s physical and mental abilities. 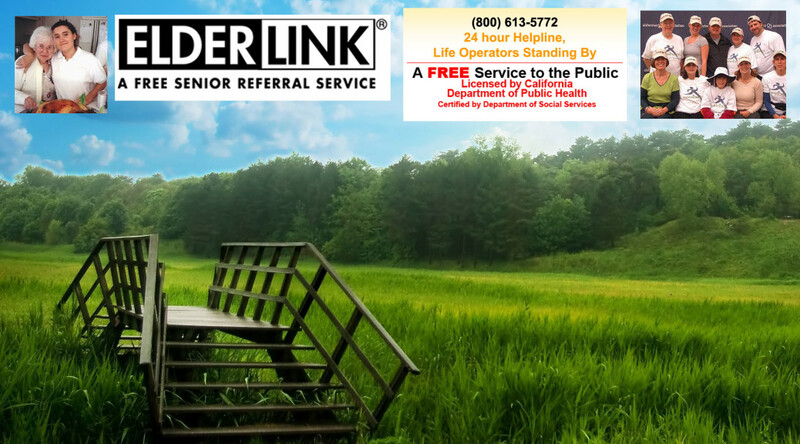 If the time has come when your aging loved one is no longer able to live independently, please contact the knowledgeable staff at ElderLink to help you find elder care services or an assisted living facility within California that is customized for your family.